Are you ready to experience the unparalleled quality and value of the Watercolor Brush Pen Set by ONE PIX? 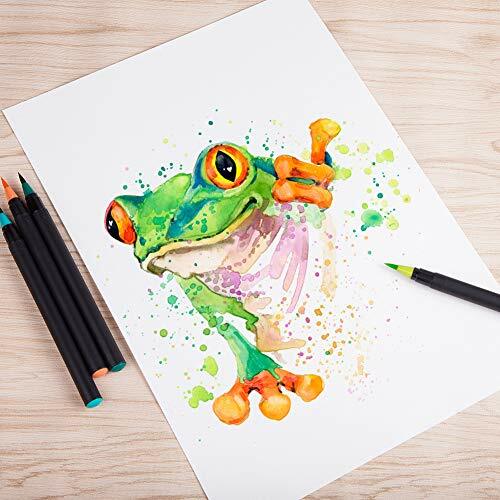 Use these vibrant colors to create beautiful works of art. Angle and bend the flexible nylon tips to make perfect line variations. They're versatile, portable and ideal for all skill levels, from the occasional doodle to more serious uses. 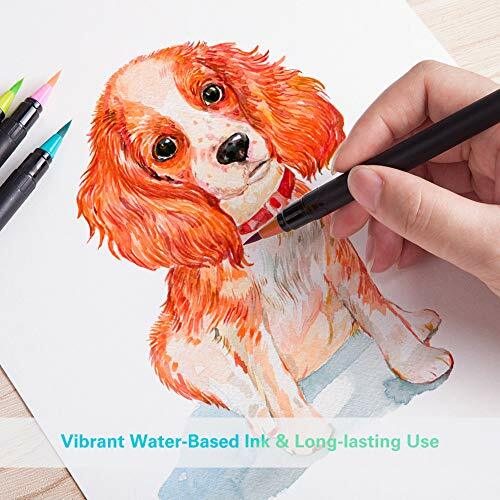 Every color in this set of water-based inks goes down in the same hue as marked on the pen barrel.There's no streaking, color bleeding, or smudging.Non-toxic and safe for children. Apply pressure as needed with these brush pens. You can effortlessly move from thin to thick lines. They're soft, yet flexible and with superior elasticity to spring back into shape as you work. 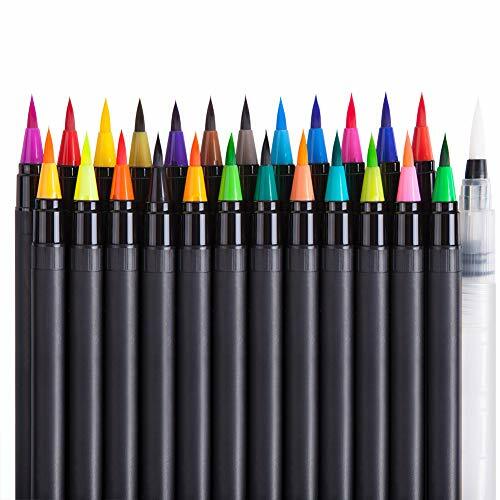 The nylon brush tips provide steady and consistent ink flow. 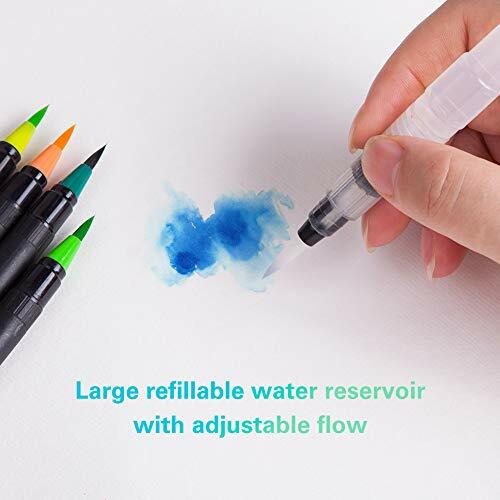 Let your creativity flow with the ONE PIX Real Brush Pens to capture your ingenious ideas and solidify them from the depths of your imagination. 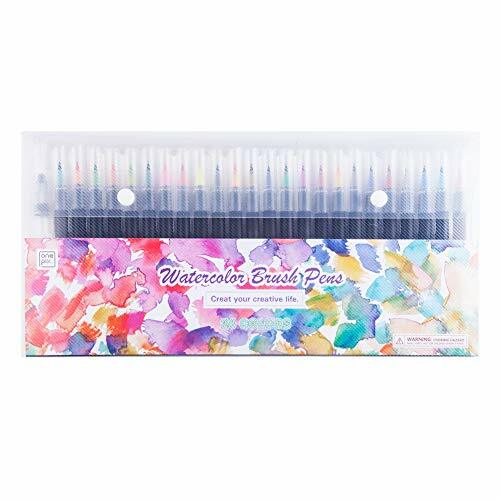 Endless Creative Options: Use your ONE PIX Paint Brush Pens with water to create delicate watercolor effects. 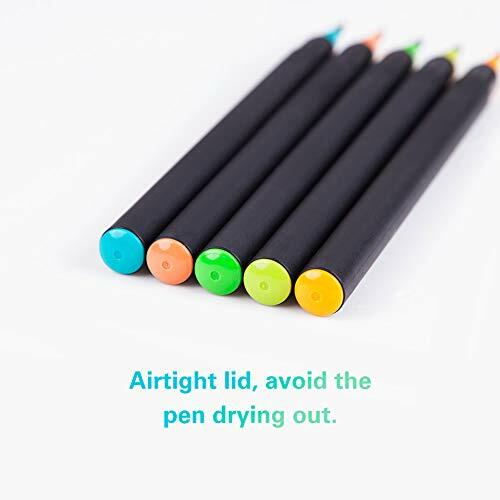 Or, use without water for dry-brush painting, sketching, coloring, calligraphy & more. 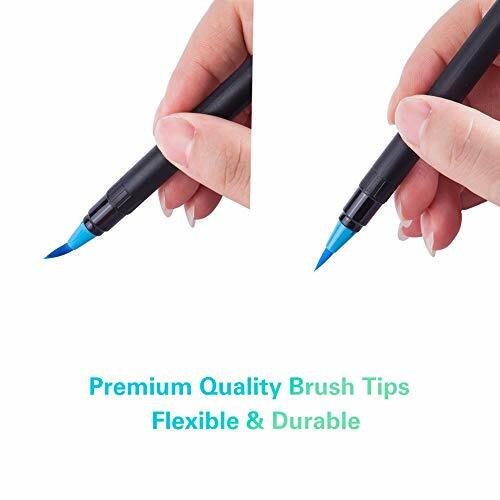 Like Real Brushes (Only Better): Each brush pen has a soft, supple tip made of durable nylon brush hair. Use the tip's tapered point to create thin lines. Brush down for thicker lines & strokes. Safe, Nontoxic & Guaranteed: INTERTEK-Certified safety, your ONE PIX painting & drawing pens come with our special promise: If you have problems, just let us know & we'll send you a free replacement within a 1-year warranty.